"Mortician" and "Undertaker" redirect here. For the Death Metal band, see Mortician (band). For the American professional wrestler, see The Undertaker. For other uses, see Undertaker (disambiguation). A funeral director, also known as an undertaker (British English) or mortician (American English), is a professional involved in the business of funeral rites. These tasks often entail the embalming and burial or cremation of the dead, as well as the arrangements for the funeral ceremony (although not the directing and conducting of the funeral itself unless clergy are not present). Funeral directors may at times be asked to perform tasks such as dressing (in garments usually suitable for daily wear), casketing (placing the human body in the coffin), and cossetting (applying any sort of cosmetic or substance to the best viewable areas of the corpse for the purpose of enhancing its appearance). A funeral director may work at a funeral home or be an independent employee. The term mortician is derived from the Latin word mort- (“death”) + -ician. In 1895, the trade magazine The Embalmers' Monthly put out a call for a new name for the profession to distance itself from the title undertaker, a term that was then perceived to have been tarnished by its association with death. The term Mortician was the winning entry. As the societal need to account for the dead and their survivors is as ancient as civilization itself, death care is among the world's oldest professions. Ancient Egypt is a probable pioneer in supporting full-time morticians; intentional mummification began c. 2600 BC, with the best-preserved mummies dating to c. 1570 to 1075 BC. Specialized priests spent 70 full days on a single corpse. Only royalty, nobility and wealthy commoners could afford the service, considered an essential part of accessing eternal life. Across successive cultures, religion remained a prime motive for securing a body against decay and/or arranging burial in a planned manner; some considered the fate of departed souls to be fixed and unchangeable (e.g., ancient Mesopotamia) and considered care for a grave to be more important than the actual burial. In Ancient Rome, wealthy individuals trusted family to care for their corpse, but funeral rites would feature professional mourners: most often actresses who would announce the presence of the funeral procession by wailing loudly. Other paid actors would don the masks of ancestors and recreate their personalities, dramatizing the exploits of their departed scion. These purely ceremonial undertakers of the day nonetheless had great religious and societal impact; a larger number of actors indicated greater power and wealth for the deceased and their family. Modern ideas about proper preservation of the dead for the benefit of the living arose in the European Age of Enlightenment. Dutch scientist Frederik Ruysch's work attracted the attention of royalty and legitimized postmortem anatomy. Most importantly, Ruysch developed injected substances and waxes that could penetrate the smallest vessels of the body and seal them against decay. Historically, from Ancient Egypt to Greece and Rome to the early United States, women typically did all of the preparation of dead bodies. They were called "Layers out of the dead". Mid nineteenth century, gender roles within funeral service in the United States began to change. They were referred to as “layers out of the dead”. Late nineteenth century it became a male dominated industry with the development of Funeral Directors, which changed the funeral industry both locally and nationally. As recently as 2003 15% of corporately owned funeral homes are owned by one of three corporations. The majority of morticians work in small, independent family run funeral homes. The owner usually hires two or three other morticians to help them. Often, this hired help is in the family, perpetuating the family's ownership. Other firms that were family-owned have been acquired and are operated by large corporations such as Service Corporation International, though such homes usually trade under their pre-acquisition names. Most funeral homes have one or more viewing rooms, a preparation room for embalming, a chapel, and a casket selection room. They usually have a hearse for transportation of bodies, a flower car, and limousines. 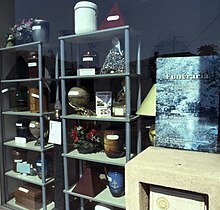 They also normally sell caskets and urns. Licensing requirements in the US are determined at the state level. . Most require a combination of post-secondary education (typically an associate's degree), passage of a National Board Examination, passage of a state board examination, and one to two years' work as an apprentice. The role that a funeral director will play in the UK includes most of the administrative duties and arrangement of funeral service, including flower arrangements, meeting with family members, overseeing the funeral and burial service. This does not include embalming or cremation of the body until further training is completed. In the UK, as with most trades no formal licence is required to become an undertaker (funeral director). There are national organisations such as the British Institute of Funeral Directors who offer training courses and voluntary membership of "best practice" standards schemes . The role of a funeral director in Canada can include, embalming, sales, oversight of funeral services as well as other aspects of needed funeral services. Family owned funeral homes are common. A funeral director in Canada will assume many responsibilities after proper education and licensing. Courses will include science and biology, ethics, and practical techniques of embalming. There are a number of organizations available to Canadian Funeral Directors. Mortuary science graduates may have to relocate to find jobs. ^ "How Morticians Reinvented Their Job Title". Mental Floss. ^ "Home : Oxford English Dictionary". ^ "Encyclopedia Smithsonian: Egyptian Mummies". ^ "Death in Ancient Civilisations". HISTORY. Archived from the original on 2015-10-04. ^ a b Steven Fife. "The Roman Funeral". Ancient History Encyclopedia. ^ "Frederik Ruysch: The Artist of Death". The Public Domain Review. ^ Quigley, Christine (1996-01-01). The Corpse: A History. McFarland. ISBN 9780786401703. ^ "Funerals and Burial Practices | Encyclopedia of Greater Philadelphia". philadelphiaencyclopedia.org. Retrieved 2018-08-01. ^ a b Turner, Chelsea. "Corporate Growth in Funeral Home Industry". www.cga.ct.gov. Retrieved 2018-08-01. ^ "The British Institute of Funeral Directors". www.bifd.org.uk. Retrieved 2018-08-02. ^ a b "Funeral Services | ontariocolleges.ca". www.ontariocolleges.ca. Retrieved 2018-08-03. ^ http://www.ofsa.org. "Home". OFSA. Retrieved 2018-08-03. Wikimedia Commons has media related to Funeral directors.